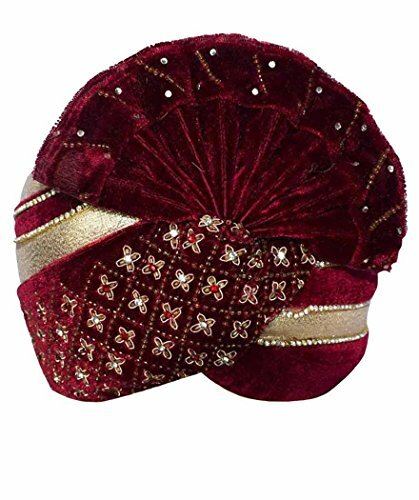 Stone and Zari Work Turban made form Maroon color . This turban is made for weddings and other special festive occasions. Handcrafted by the turban makers of Rajasthan, India. Dryclean only.